Stanmore Little Common is a small green space adjoining Wood Lane in northern Stanmore. 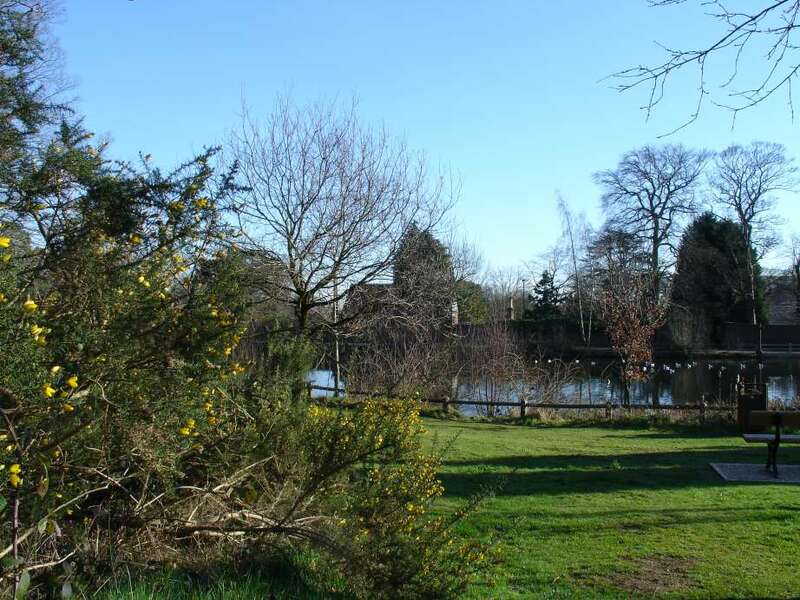 It contains the Upper and Lower Spring Ponds, which are probably man made, dating from at least Roman times and possibly earlier. Indeed Upper Spring Pond is also known as Caesar's Pond, based on a tradition that there was a Roman garrison quartered near there. Boudicca (Boadicea) almost certainly camped by and drank from these ponds. It is these stony ponds or "Stane Meres" that gave Stanmore its name. Map above reproduced by permission of Geographers' A-Z Map Co. Ltd. (c)Crown Copyright 2009. All rights reserved. Licence number 100017302. Stanmore Little Common lies on a pleasant and largely road-free route linking Stanmore Common to Stanmore Jubilee Line station via Stanmore Country Park – click here for details. 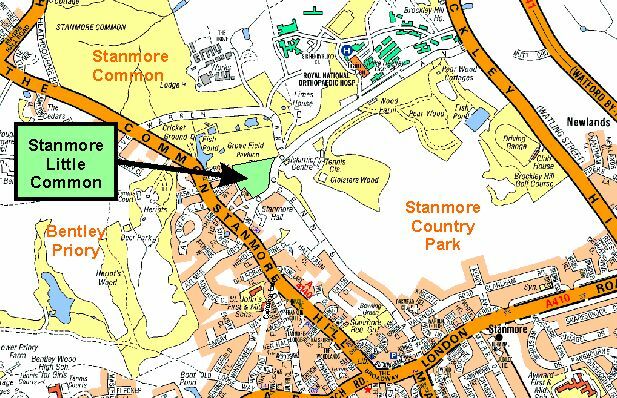 Work to improve Stanmore Little Common has been funded by Harrow Council's Green Grid initiative - click here for more information.